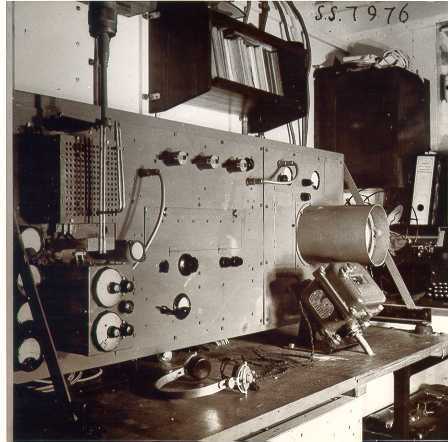 In 1936, during propagation tests carried out to determine the operational range of the portable Ultra-High Frequency wave (240 MHz/1.25 m) telephony devices between the beach and the Waalsdorpervlakte, the very weak signal of the transmitter was heard several times harder and softer as if there were interferences with a frequency of a second (1 Hz). Crows and seagulls flying near the receiver seemed to be the cause. So these birds reflected the waves. The next day a military aircraft was ordered to fly back and forth from Leiden to Hoek van Holland over Waalsdorp. The interference effect and the reflections were very clear. Von Weiler and Van Soest who performed these tests soon understood their scope: aircraft could be detected by active detection methods. If the reflection works with remote transmitter and receiver, detection must also be possible if the transmitter and receiver are set up in one place, provided that the necessary mutual shielding is possible. Although electromagnetic waves are fast, the finite time may be measured if a pulse shape is used for the transmitted signal. A measured time interval times 300 km/s gives the double distance to the target (duration from channel to target + duration from target to receiver). Under the direction of von Weiler research was carried out with a large part of the staff. A typical example is a discovery by one of the technicians, Tabbernée. To meet certain requirements of capacitive coupling in the electrical circuit, it used a method called the Tabbernée capacitor. Particularly good inventions were made in the field of pulse technology and in the field of shielding of the transmission signal in the receiver. Even one antenna could be used. The antenna had to be large because the energy received back from a plane at a considerable distance was extremely small. The higher the frequency of the electromagnetic wave, the smaller the antenna could become. Unfortunately, Philips could only help the Measurement Building moderately. No available usable technology abroad could be identified. For that reason, 425 MHz (wavelength 70 cm) was the limit of the possible in those days. The transmitted pulse had a length of about 3 μsecs and was repeated at a frequency of 7.5 or 15 KHz. Peak power was 1 kW. The transmit pulse was transmitted to the antenna via two parallel wires (a Lecher line) and then transmitted. The same antenna was used for sending and receiving. 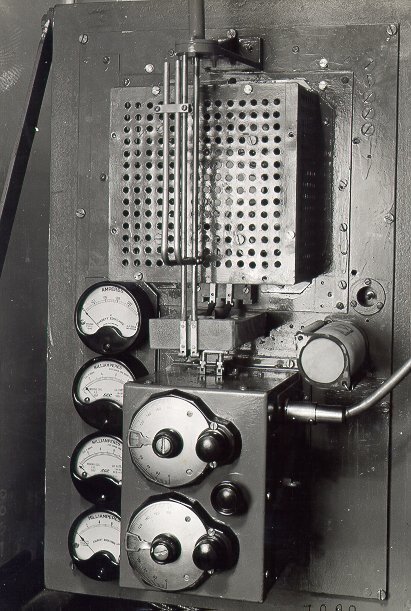 A circuit was devised for this, which ensured that during transmission the input of the receiver was virtually blocked and during received the received signal went almost entirely to the receiver. The antenna consisted of rows of dipoles with a 3 by 3 meter reflector of gauze behind them. The transmitted beam had an opening angle of some 15 degrees. Connected to bicycle pedals with a chain, the antenna could be baked with the feet and elevated with the aid of a handle. The received signal was visualised on a cathode-ray tube (a so called J-scope) with a circular time base. But it could also be made audible in headphones. To this end, the emitted pulse was amplitude-modulated with a 1000 Hz signal. Hence the device name “Electric listening device“. This name also fitted with previously done research. 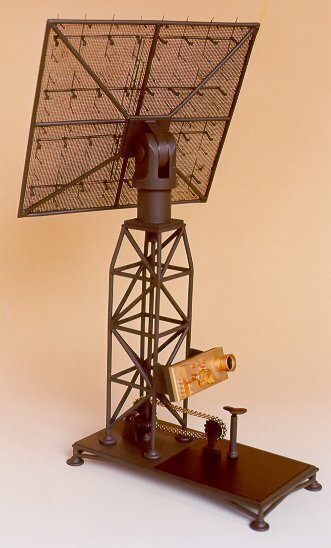 During the Second World War, this became RAdio Detection And Ranging (“radar“). In 1938, the first laboratory model was ready. Versions of parts quickly followed each other over the next two years. Unaware of the fact that the problem was also worked in other countries, the great value of this development was realised in Waalsdorp. Because the ordinary listening devices could hardly follow the fast aircraft anymore, the electric listening device came as called. Yet it took some time before the Ministry of Defence, the Royal Netherlands Army, recognised the military value of this new technology. A general who came to see the electric listening device asked: “If I throw some buckets of water over it, will it still work?” “No,” said Von Weiler. Then the general wanted to throw a bucket of sand in the device. That was not allowed either. Next, the general wanted to know if every farmer could operate the device. No, a short training would be required. “Then it is of no military use”, was the answer. A professor looked at the electric listening device: “Nice, but too big. Now reduce the size” and he pointed out a few cubic decimetres with his hands. The Ministry of Defense was requested to be allowed to develop a small series while the research was still ongoing. The Department, however, did not give permission for the development: Waalsdorp had to do research, not development. 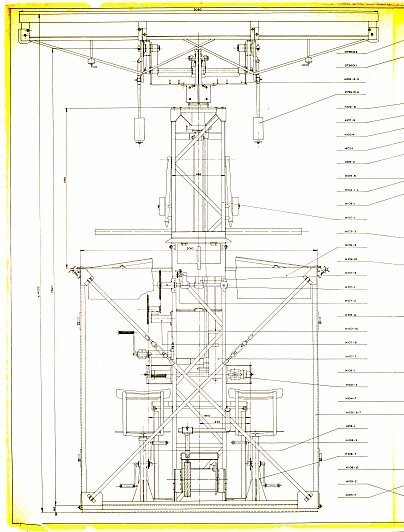 Finally, the department decided in 1939 that the development series by the NSF (Nederlandse Seintoestellen Fabriek) would be made very secretly, that Waalsdorp would deliver the drawings and that M. Staal would be stationed in Waalsdorp as a conscripted engineer. He was responsible for the coordination of the production of the components that, because of secrecy, had been distributed over three companies (including J. B. van Heijst and Zonen NV, The Hague) and two laboratories (Leiden University (transmitter), Technische Hoogeschool Delft (receiver)). 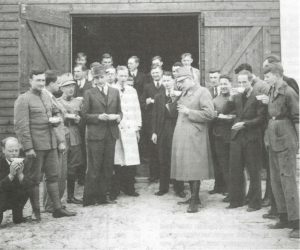 Late 1939, a demonstration of the electric listening device was given to Prince Bernhard. Unfortunately, there was a thick fog on the day of the demonstration. No aircraft could take off. Von Weiler, therefore, showed the radar echoes of the church towers in the surroundings of Waalsdorp. “You can certainly see the Catholic churches better than the Protestant ones” asked the Prince. “Why do you think that Royal Highness?” “Well the Catholic churches have a large metal cross on top of their towers.” His Royal Highness was right. The electrical listening device detect a Fokker C5 hunter at about 15 kilometres (at 15 kHz). Larger aircraft and especially groups of aircraft could be detected at a distance of 30 kilometres (with transmissions at 7.5 kHz). The Navy also became interested. It on the HNLMS Sumatra installing a prototype of the electrical listening device did not go through the outbreak of the war. At the outbreak of the war, four electric listening devices were completed (* about the number of devices available for use, the consulted documents contradict each other). One unit was at the outbreak of the war on the roof of the Meetgebouw in connection with the planned demonstration on May 10, 1940, of a responder developed by the Measurement Building. The responder could send back a friend or foe (later called IFF) signal on the basis of the irradiated energy by an electric listening device (previous experiments with the IFF system on the tower of & nbsp; the Grote Kerk in The Hague and the tower of the Nieuwe Kerk in Delft with the electric listerning device at Waalsdorp showed that the IFF system worked well). The electric listening device on top of the Measurement Building was fastly removed that day. Another electric listening device was set up at the Hertenkamp (Maliebaan) in The Hague next to a pair of machine guns. German planes were tracked with the device. To prevent the electric listening devices falling into German hands, they were destroyed. It was the Royal Netherlands Navy ensured that Von Weiler and Staal could make the crossing from Hoek van Holland to England with the English destroyer Wessex in company of the English naval attaché Admiral Sir Gerald Dickens in the morning May 14, 1940. According to the book “WEG” by Danny Verbaan, the gentlemen were first brought with the Scheveningen motor lifeboat Zeemanshoop from the port of Scheveningen to the HMS Malcolm. The HMS Malcolm brought them then to the HMS Wessex in the harbour of Hoek van Holland (ref: Roering jg 33, nr 1, p.72, 1996). The drawings of the “electric listening device” were in their luggage. Essential parts of a third electric listening device were transported through the German parachute lines to IJmuiden and shipped to England. All other components and information, including notes, drawings and correspondence had been destroyed and set on fire. 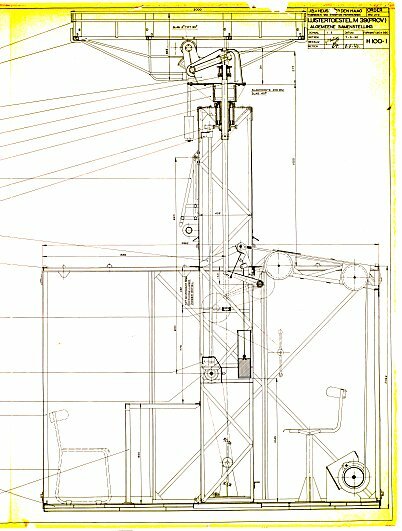 A few years ago, however, the museum discovered the complete package of drawings of the electrical listening device at the Depot Defence Archives as part of the correspondence between the Commission for Physical Armourment and the Genie. Those copies were made at J.B. van Heijst and Zn, The Hague. The complete package of drawings currently resides at the Dutch National Archives. After arrival in England, it appeared that Von Weiler and Staal had interesting knowledge for the Brits (Admiralty’s HM Signal School). 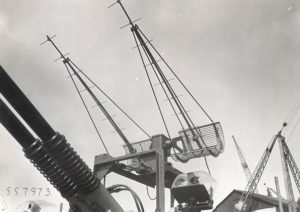 The development at Waalsdorp was ahead of the English in the field of pulse technology and on the single combined transmitting and receiving antenna. On the other hand, the English could reach lower wavelengths with their magnetron. In addition, they put more energy into each pulse. That was forgotten in Waalsdorp: a short pulse could have higher power peaks than a constant load of the transmitter tube allowed! Incidentally, the existence of the British radar activities for the two Dutch was a surprise. Von Weiler went to work on the Admiralty Signal Establishment (ASE) at Portsmouth. ASE was renamed in Admiralty Radar Establishment, and later it became Admiralty Surface Weapon Establishment (ASWE). 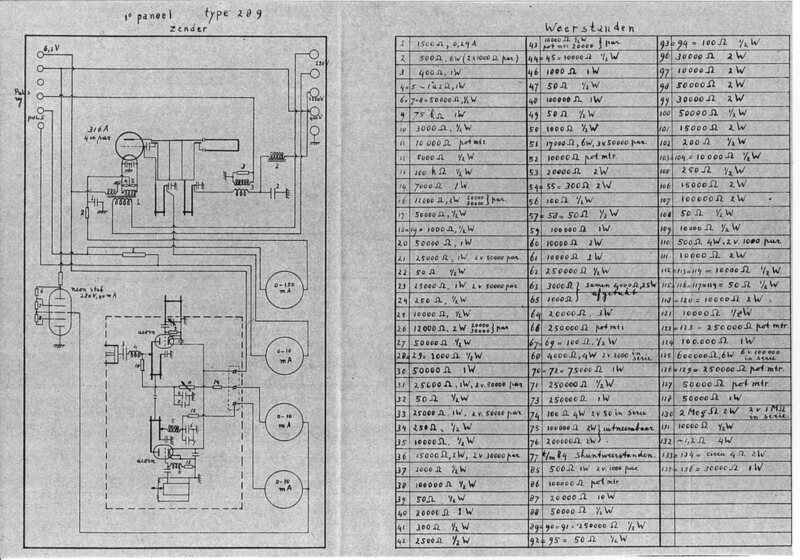 Using the components of the aforementioned third listening device, Von Weiler built a complete electrical listening device that was equipped with an English Yagi antenna. 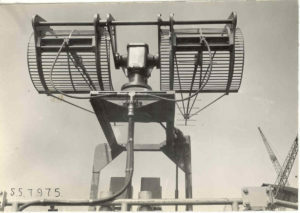 The device was adapted to serve as radar distance meter for the modern Hazemeyer fire control installed on HNLMS Isaac Sweers. The (radar) device was coupled to a stabilised 40 mm anti-aircraft (AA) Bofors machine gun, a unique combination and the first on the world. The HNLMS Isaac Sweers was torpedoed near Gibraltrar shortly thereafter. To a large part, this text is a translation of Van Soest’s contribution to the book Physisch Laboratorium 1927 – 1977. Moreover, some details were clarified by Ir. Max Staal’s “Hoe de radar naar Hengelo kwam” set of articles in Roering 1996-1998. 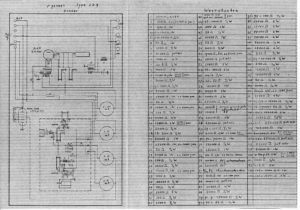 Incidentally, from 1933 onwards, the Philips Physics Laboratory worked on the development of a split anode microwave at 1 GHz, where the transmitter and receiver with parabolic antennas were close to each other. It was possible to create a microwave connection between Eindhoven and Breda and Eindhoven and Venlo with wave lengths of 15 cm. 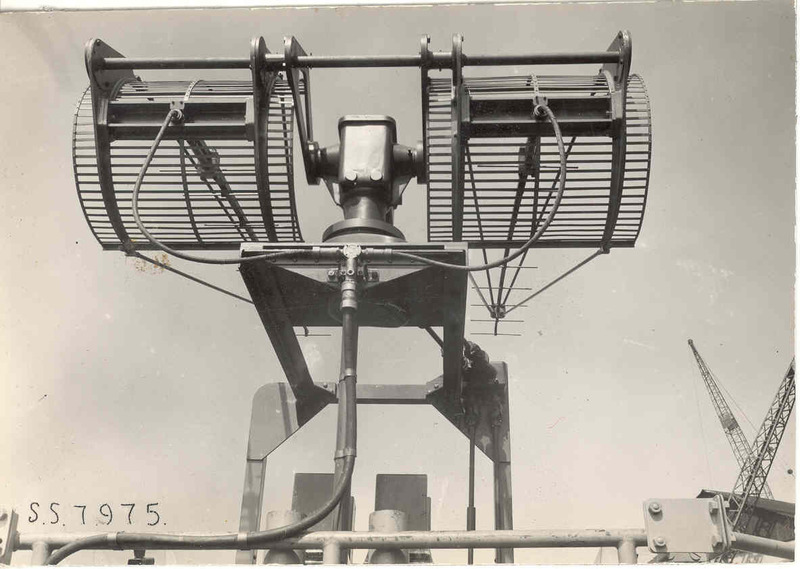 In 1939, tests were carried out with a pulsed transmitter on the island Texel where a transmission and a reception parabola were placed next to each other and a flat plate (ship) served as a reflector; the tests, however, failed. Copyright © 2019 Museum Waalsdorp. All rights reserved.